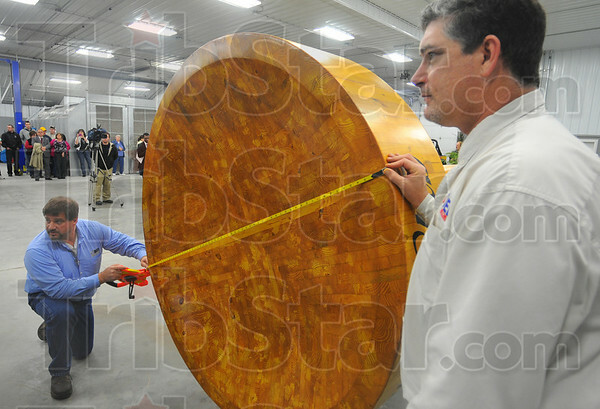 Tale of the tape: Jim Bolin, president of Bolin Enterprises, and Michael Bohannon, his Operations Manager, take a measure of the diameter of the top of the golf tee they created. Six feet, three and an eighth inches was the figure they came up with. The tee is 30 feet, three quarters of an inch long and weighs in at 6,659 pounds.